Anyone who knows me knows that I’m not a big drinker. It’s just something I have to be in the mood for which is maybe a few times a year. Even then I may not finish my first drink. I’m wasteful, I know. That’s why I’m the one with the water most of the time. 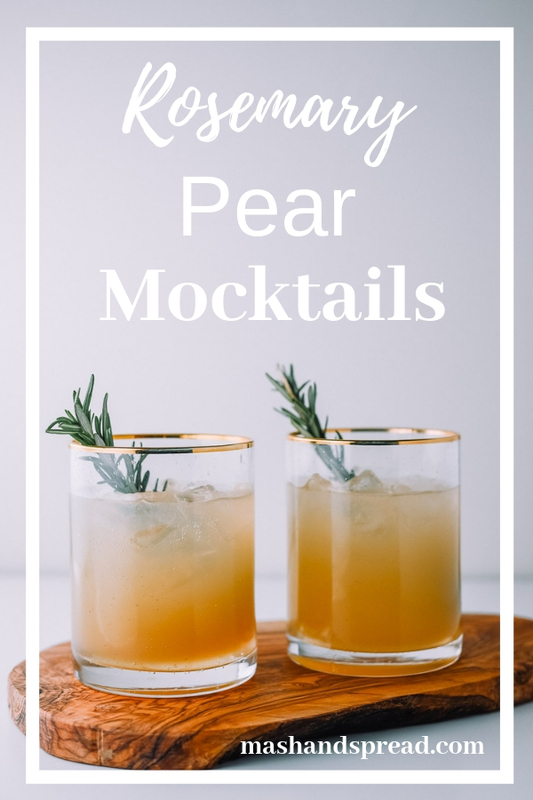 If your like me looking for a mocktail this recipe for Rosemary Pear Mocktails is for you. 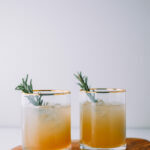 By far, my most favorite part of this recipe is the simple syrup. 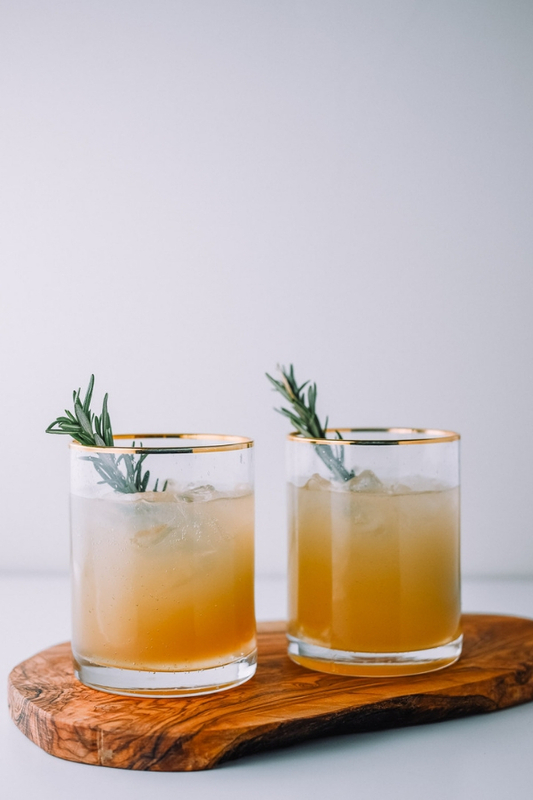 The rosemary infused syrup is like sugar heaven for your tastebuds. I don’t think you guys understand. You won’t believe me until you make it yourself. At this point I’m convinced I need a stash of different infused syrups to naturally flavor foods like my oatmeal, plain yogurt, and things. 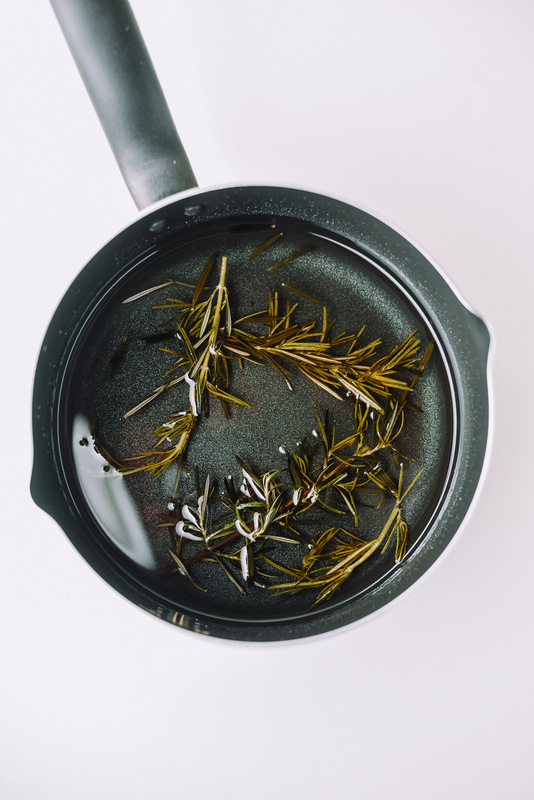 Combine sugar, water, and fresh sprigs of rosemary in a pot over medium heat. While cooking stir occasionally. Once the sugar has completed dissolved remove from stove top and allow to cool completely. Once cooled, remove the rosemary from the pot. Set syrup aside. Take the glass and add about 3/4 worth of ice. 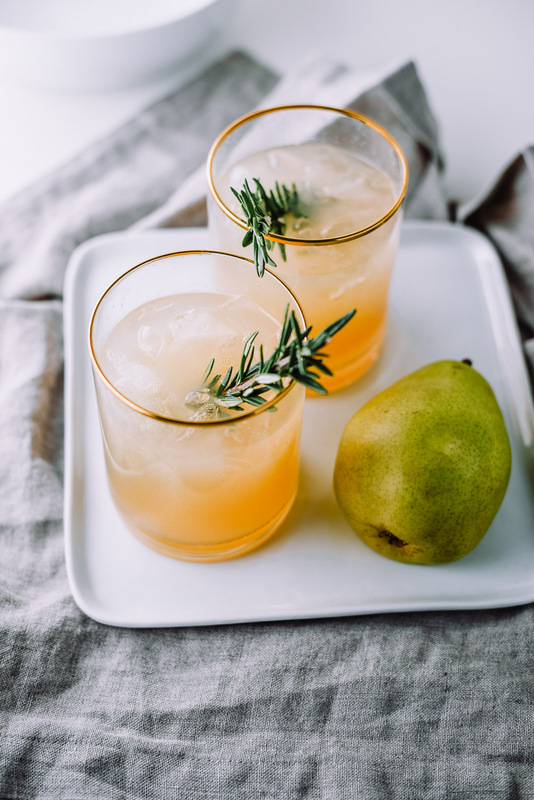 Pour pear juice, rosemary simple syrup, lemon juice, and sparkling water. 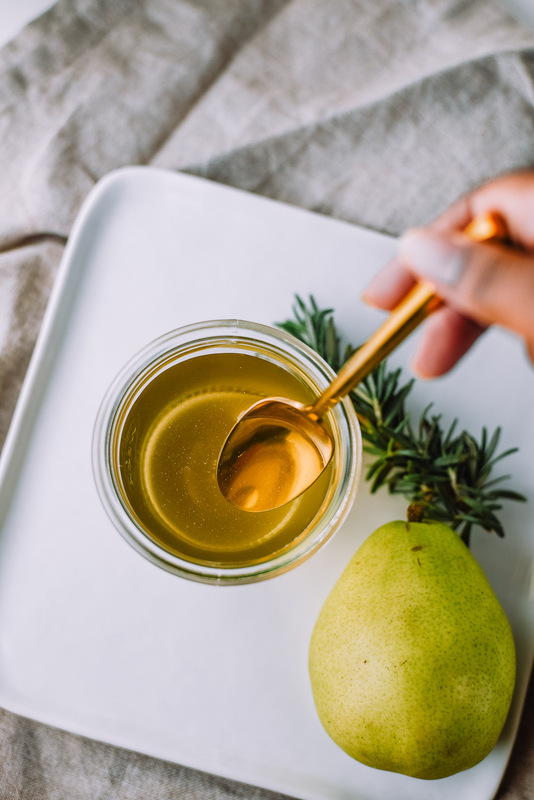 Garnish with slices of cut pears or springs of thyme. Keep left over rosemary simple syrup in air tight container/ cup for several days. Combine sugar and water in a pot and cook over medium heat. Cook until sugar is completely melted/dissolved. Turn off heat and allow mix to cool with rosemary sprigs. Once cooled remove rosemary sprigs and set syrup aside. Add ice half way to glass. 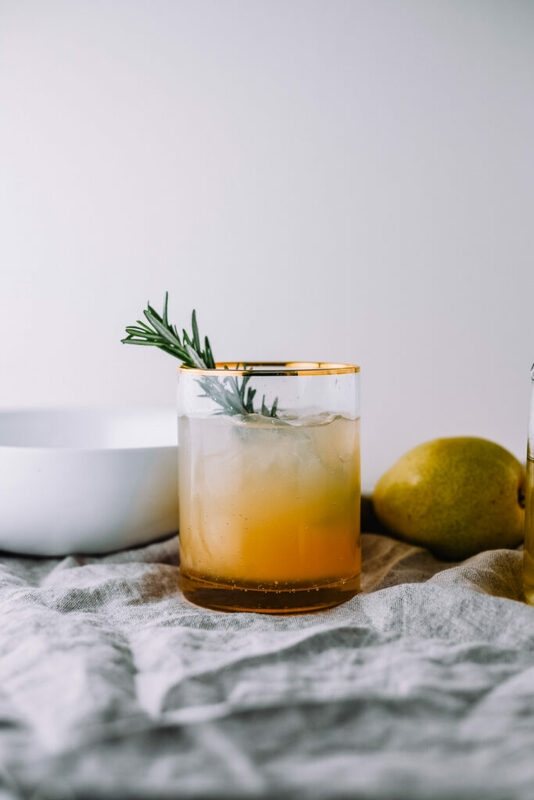 Pour pear juice, rosemary simple syrup, lemon juice, and sparkling water. 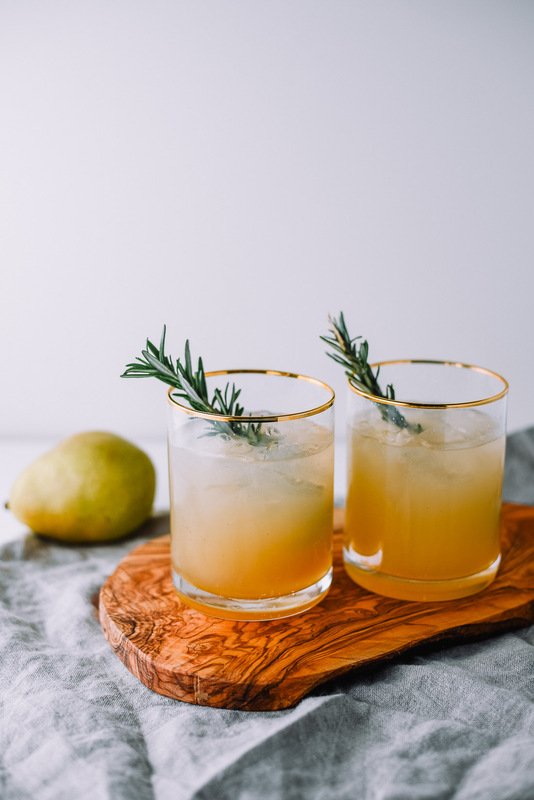 Garnish with fresh pear slices or sprigs of thyme.